The latest addition to the Ergohuman chair range, the Mirus chair boasts the ingeniously simple single lever control which operates the three most frequently used chair functions. Seat height, seat depth and back tilt can all be operated from a single point of contact. to your needs. A ‘zero pressure’ seat cushion helps to distribute weight evenly across the seat pad to provide maximum comfort. 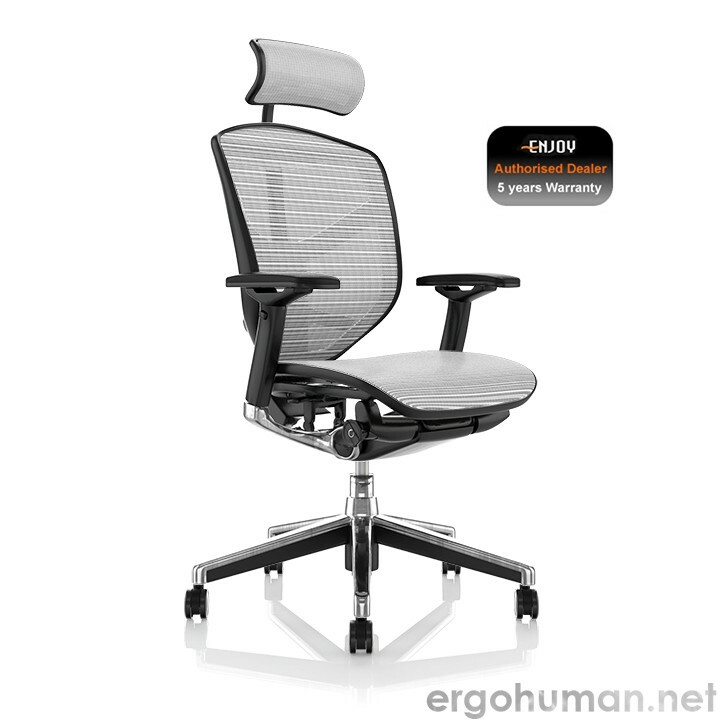 Enjoy Ergonomic High Back Mesh Office Chair is designed and made with the total comfort of human-kind in mind. The Enjoy office chair fuses art and science, with flex zones that ensure constant support of back and lumbar, multi-dimensional adjustable arm rests for unparalleled support and a height-adjustable pivoting headrest for full crane support. Have you ever thought about how important it is to sit in the right position? The majority of people subconsciously sit in the most comfortable position they can. It is fine to do this occasionally, but not a good practice for many hours of work. If you don’t take regular exercise and your work is desk bound, you might end up with back problems. Office workers often complain about stiff back, sour neck and lower back pain. Some companies will offer free gym membership or yoga lessons, in house back training exercises, and even massage services. The office furniture is also important: sitting on the right type of office chair should not be overlooked. 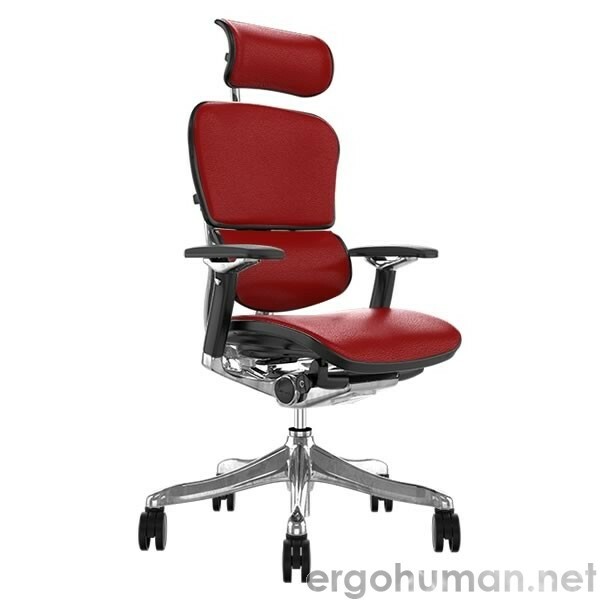 Nowadays, office chairs are specifically designed to suit specific needs and tasks. Some of the most ergonomic office chairs are fully adjustable to the human body, which include adjustable arms, knee tilt and back height. Some of the leather office chairs are incredibly comfortable for many hours of work. The foam of the seat can be molded in a very ergonomic shape that fits perfectly the curves of the human body. Some will argue that Mesh fabric also stretches to your body shape giving well-distributed support. Once you are equipped with the right chair, you should follow basic guidelines regarding your position. 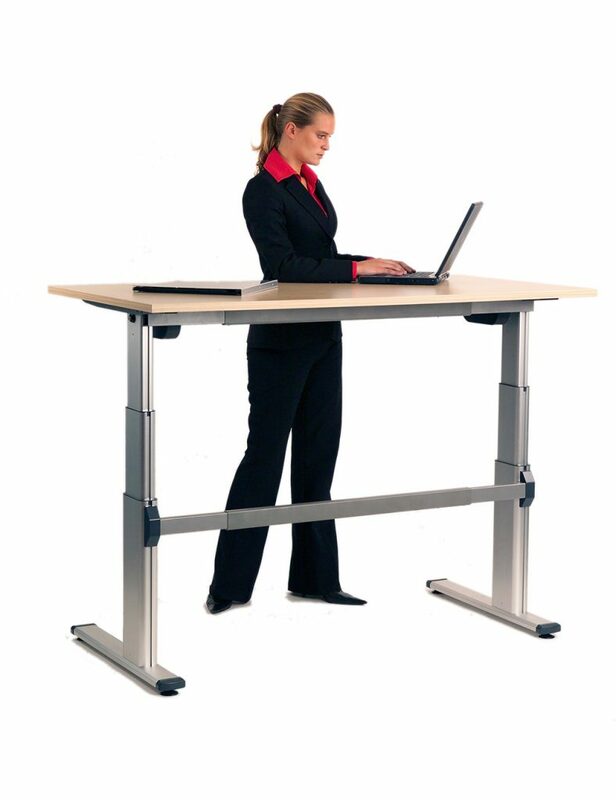 One of these is to sit in an upright position with your elbows at a 90-degree angle, while typing. Additionally, your monitor should be levelled with your eyes, or slightly lower, and at a comfortable distance, neither too far, neither too close. It is also important to move your legs on a regular basis to avoid feeling numb. If you don’t want to get up, flexing your feet and tiptoeing will also be beneficial. Simple exercises like these will help avoiding thrombosis, as it will help pumping the blood up to the heart (a well-known advice on long distance flights). Standing up from time to time, stretching or taking a brisk walk will also help. Ideally you should also take a 10-minute-pause from looking at the screen – at least every two hours. Use this time wisely to do your filing, post the mail or tidy up your desk. All in one it is necessary to have the right office chair to sit on and work at, combined with a healthy living, you should enjoy many hours of work while becoming more productive. 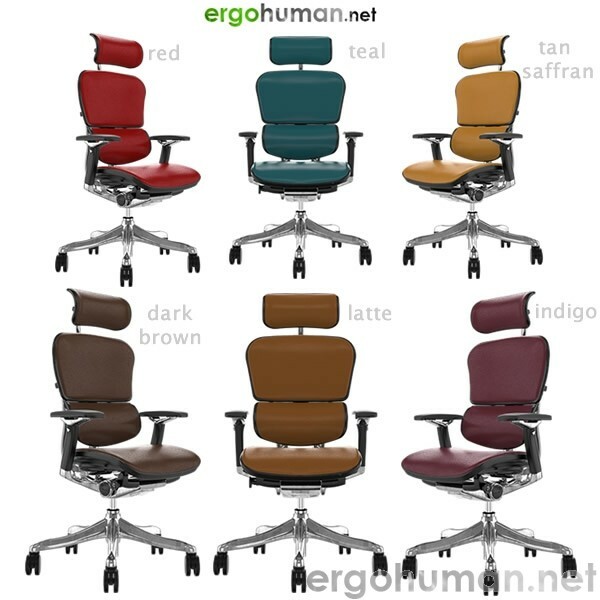 The Ergohuman Plus Office Chair offers a unique ergonomic concept with ever more posture control and support to fit you like a glove : incorporating a synchro tilt mechanism with infinite lock, sliding seat, pneumatic height adjustment, automatic lumbar support system, seat tilt, Height and angle adjustable arms and headrest all in one very unique environmentally friendly 97% recyclable office chair. When we talk about office chairs, we see the regular black chair standing on five wheels, with adjustable height and also adjustable arms and back features. This ergonomic chair will be used at a computer workstation, adjusted satisfactorily for its user, making sitting more comfortable and work more enjoyable. However, offices are more than computer workstations. In many companies, you will find offices, meeting rooms, reception areas and rest rooms and it is easy to see that the ergonomic office chair at the computer workstation will not do its job in the other areas stated. The meeting room may stand empty most of the time and the number of people present at a sitting may vary. It therefore makes sense to use stackable chairs so that when they are not in use in a particular meeting, they are not viewed as ‘empty’ seats. Stackable chairs may come with tubular steel frames (e.g. the cantilever design) and the fabric used for the seating may vary, from elastic fabric which moulds with the user’s shape, to mesh, which allows the user’s back to breathe. The reception area of a company may be the first point of entry for future customers, so getting the seating right is vital. Whilst connected chairs might be thought to be all right for an airport or a doctor’s surgery, an upholstered comfy chair will build better relationships, by making the prospective customer feel at ease. Today’s companies now also address personal development and maybe the kneeling chair might just fit the bill, in these group activities. Although this chair does not have a back rest, its design encourages good posture and also an alert sitting position. This ergonomic chair takes some of the pressure off the thighs, which is then taken up by the shins. As with any chair, it is important to get up and move around for a little time. However, the original Balans chair, which was designed by Peter Opsvik in the seventies, was seated on rocking horse runners, to encourage the user to keep one leg extended, so as to rock the chair, a rather novel way of flexing the muscles! So, when it comes to buying the right ergonomic chair, remember that the word ‘ergonomic’ means getting the situation right for the user. Taking advice and guidance on making the right purchase will really pay off, as a perfect match makes for a happier worker and all of the benefits that go with it. 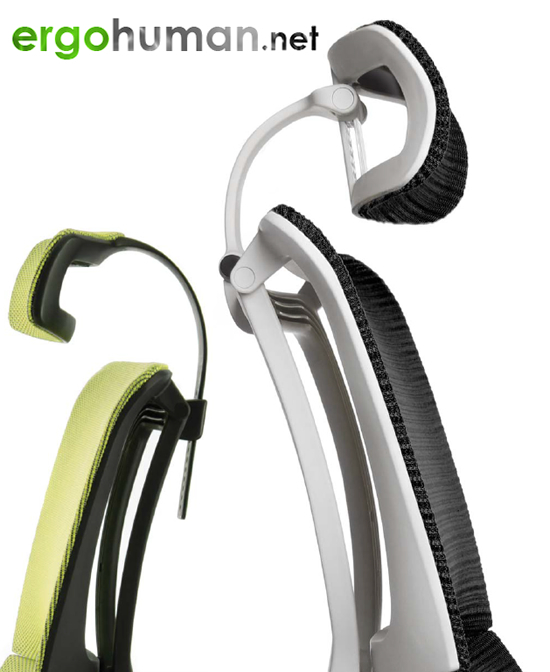 Ergonomic Accessories in the Workplace.